– Increase Department and USAID capacities in climate diplomacy and development. – Strengthen staff understanding of and engagement in climate issues. – Integrate climate change into all of our diplomacy and development efforts. – Designate critical countries for in-depth climate engagement. – Expand climate and clean energy diplomacy beyond capitals. … the plans outlined in the QDDR for a broad engagement on fighting climate change reflect a model for “next generation” diplomacy. Our ambassadors will be directed to develop meaningful commitments and creative solutions to reduce greenhouse gas emissions in consultation with host governments and institutions. Here at home, we will collaborate with Congress, mayors, CEOs, faith leaders and civil society to address this existential issue. The State Department and America will set an example for the world to follow toward a healthier, safer planet. Meaningful “next generation” climate diplomacy, as it is characterized in the QDDR, will hopefully include a strong risk management component in regards to preparing for and preventing climate risks. Turning those risks on their heads, and identifying opportunities to broaden and strengthen partnerships and alliances with other nations through support for climate resilience, should also be a part of this diplomatic effort (see our thoughts on climate diplomacy in context of the Asia-Pacific rebalance, as an example). Strengthening partnerships with other parts of the U.S. government to address climate-security concerns is also a potential next step. Take the recent earthquake in Nepal, for example (not necessarily related to climate change). Currently there are over 2,000 people presumed dead and thousands more in need of emergency assistance. There is a looming risk of floods and landslides that could make a precarious post-disaster situation even worse, and potentially lead to other security issues in a recently volatile country. Some report that the only lights working are those powered by solar energy. 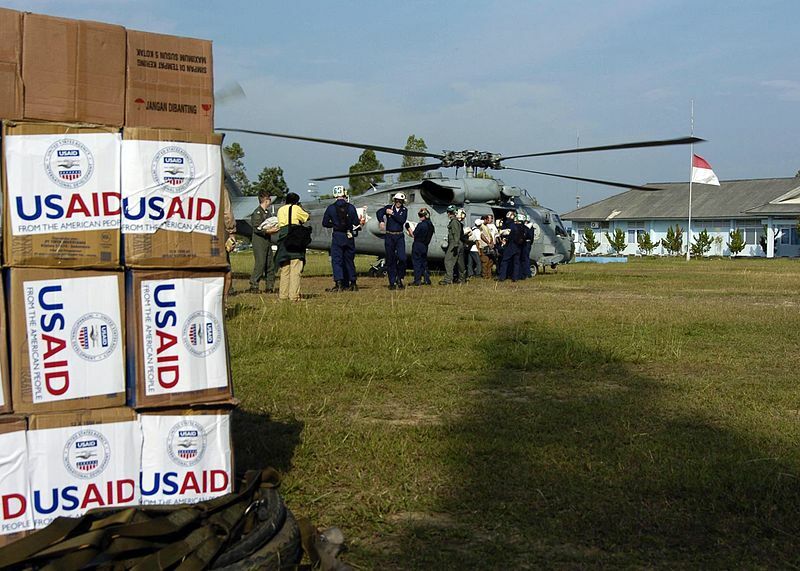 The U.S. Air Force and USAID have teamed up to aid in emergency response, as they often do in disaster situations. A host of other governments and aid agencies, including “digital humanitarians” are also providing assistance. However, the region may not be so prepared for the security implications of climate change. Projections of an increased frequency and severity of extreme weather events, and significant water stress due to Himalayan glacial melt, will be difficult to manage if preventive actions are not taken in earnest. If the QDDR is to help facilitate climate resilience in the global security environment, including in vulnerable regions like the Indo-Asia-Pacific, strengthening partnerships between the State Department, USAID and the Department of Defense to prevent and swiftly respond to disaster situations, should be in order. The QDDR presents an opportunity to do this, and to do it right. We live and work in countries subject to terrorism, violence, unstable political and social forces, increasing climate change impacts, severe economic deprivation, inefficient governance, and the risk of disease and illness. These are constant challenges to achieving our goals. We are not naïve about the dangers. Balancing our values and interests with the risks inherent in 21st century diplomacy is challenging in the best of circumstances. There are steps we can take to mitigate risk, but we can never eliminate it. The release of the QDDR is an important moment. The U.S. should seize it as an opportunity to build a truly a whole-of-government approach to both addressing the security risks of a changing climate, and strengthening a positive U.S. role in the world. By Caitlin Werrell and Francesco Femia in climate and security on April 28, 2015 .